Tree removal can be a challenging task which calls for hiring trained and experienced professionals. It is important to maintain safety and health standards without sacrificing on overall aesthetics. 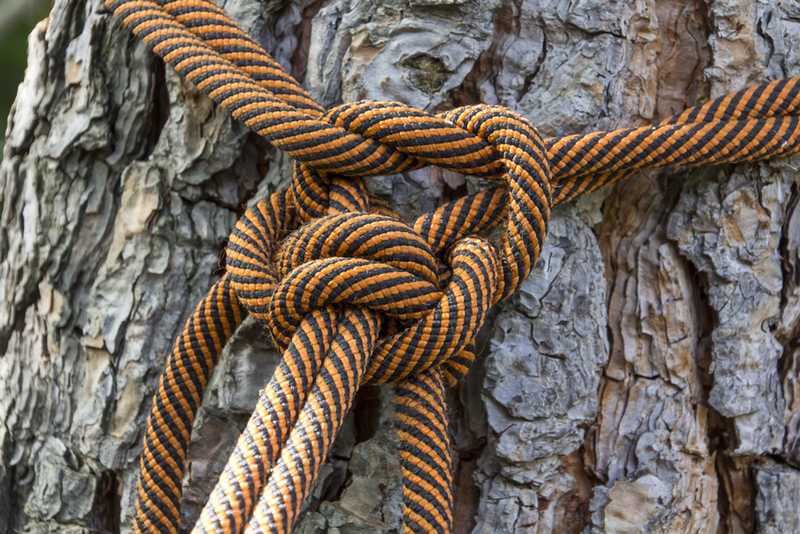 Elkhart Tree Service has the essential knowledge, skill and experience to do the job. With proven techniques and methods, trees are removed, cut and trimmed by our trained and qualified professionals. The experts provide special attention to carry a thorough evaluation of getting into the root cause of problem. Strong winds, extreme weather conditions and unexpected factors can damage your home and business in South Bend, IN area. We focus on keeping the trees within manageable and controllable limits to prevent harmful occurrences. In every tree cutting project, the trees diameter, size, condition and closeness to physical structures is taken into account. We have spend several years in this field know what it takes to deal with different situations. 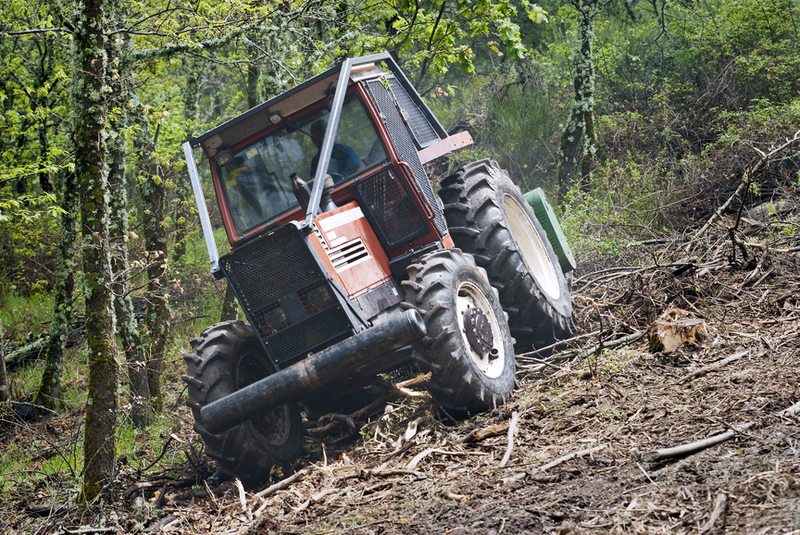 At times, tree removal may be the last option to ensure safety and prevent hazards. There are some trees damaged and diseased beyond repair and there is no alternative. A strategic approach is all it requires to get the job done without any chaos. Properties, roads, driveways, flyovers or utility wires shouldn't be affected. This kind of practice is suitable to make sure the peace is not disturbed. 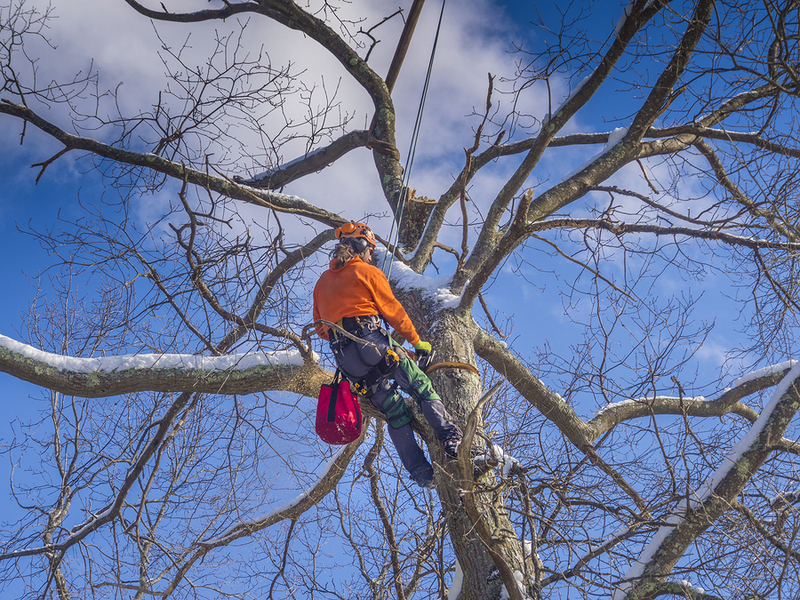 Elkhart Tree Services has well trained professionals readied for removing the tree and stump by utilizing the latest technology and equipments. Even the most difficult to reach areas can be serviced by our professionals. We always focus on safety and also clear up the left over debris without incurring any extra or hidden charges. There are times when a tree causes enough trouble so that cutting or trimming will not bring the desired outcome. 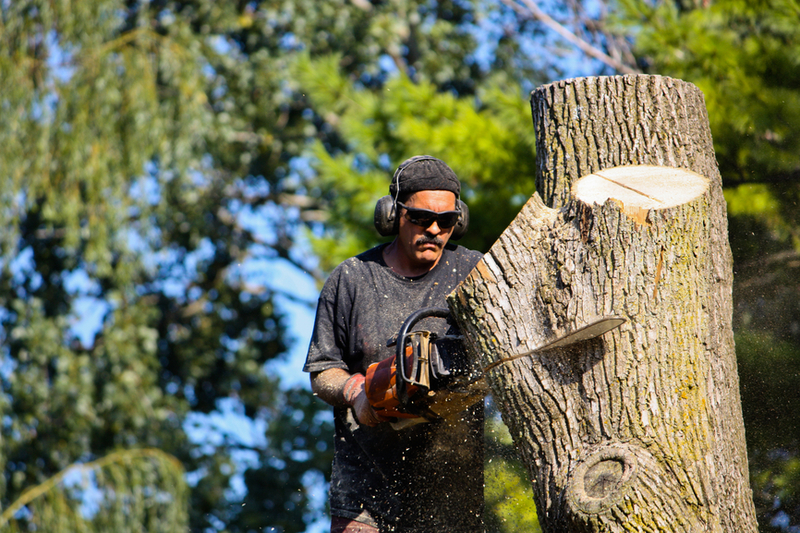 We are just a call or email away to ensure a secure, efficient and professional tree removal. Trees can bring structural damage which makes them quite unsafe. Similarly, it can soak the moisture present in soil to the extent that leaves it unproductive. 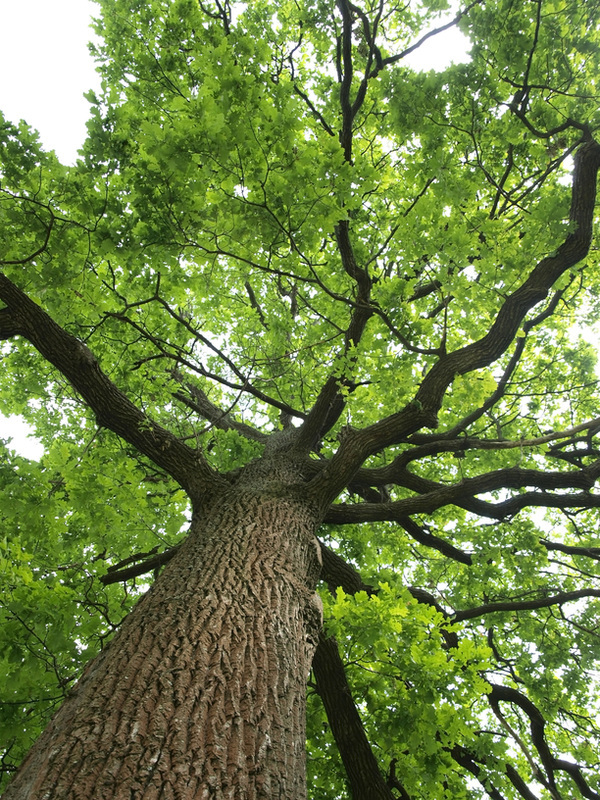 Old trees growing for years may also shake the foundation of homes and trouble underground pipes. Majority of commercial owners and homeowners of South Bend, IN area prefer wide and clear yards. Our skilled workforce has the expertise to remove one or multiple stumps from a yard. They are well trained to advise and suggest methods of removing the largest of trees. 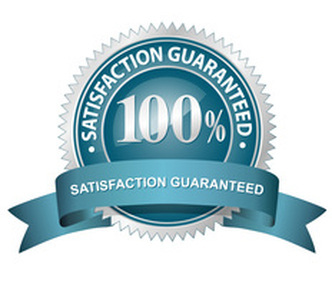 With years of experience in tree service industry, Elkhart Tree Service strives to provide 100% client satisfaction. Our experts have in-depth up-to date knowledge of using specialized machines and equipments. It has successfully completed many projects of residential and commercial landscape. Cutting down any tree requires a clear and proactive professional approach. Backed by cutting edge technology, the job gets easier and Elkhart Tree Service has been doing it for years. Prior to getting down to the task, our experts assemble specialized tools and equipments. It includes ladder, rope, wedges, axe, protective gear, chainsaw and first aid kit. The professionals in our team examine the main problem from different perspectives. It is checked if the tree is leaning in a single direction or other. Broken or dead branches, presence of clear area and whether or not branches are lying on the way are also dealt with by experts. We have the experience of cutting trees in different sizes including large, small and medium as per customer specifications. Our clientele features golf course, country clubs, offices, parks, hospitals, municipal office, government office, schools and colleges. Elkhart can serve a diverse range of clients as per specific budgets. We aim to arrive and complete the job on time without compromising on service standards. Often tree cutting at urban and suburban landscapes can present a set of challenges. We have always delivered better while facing risky, tricky and challenging situations. We have certain methods and techniques in operation while cutting down a tree. If plan A fails, we always have a plan B ready to handle the situation. We make sure no damage is incurred by nearby properties and buildings while accomplishing the task. Customers are free to educate themselves of the service packages available at different price ranges. There are no hidden costs and we maintain complete transparency in the pricing policy. We have experts who can provide a free initial consultation. It is done to make sure that utmost care is taken to prevent the property and nearby surroundings from damage. A well trimmed tree adds beauty to the area where it has been planted. An overly developed tree gives an untidy look and spoils the appearance of the area. We at Elkhart Tree Services have well trained garden professionals who have mastered the art of trimming. They strive to bring the perfect shape and finishing as per customer specifications. Preventing safety hazards is also one of the reasons behind people opting for routine trimming. Dead and broken branches may fall from the top and cause severe damages. Our gardening staff has the knowledge and equipment required to do the job without any hassle. We have taken care of trees for many clients to make sure the branches never disturb electrical wires. Our staff personnel approaches and completes the job in a timely manner to create an aesthetically pleasing atmosphere. We can keep the trees in excellent condition irrespective of garden size and location in South Bend, IN. It leaves them structurally sound without affecting their health from any perspective. Routine wise pruning of trees come with multiple benefits. Our trimming specialists start the entire process with a complete evaluation. We can deal with deadwood, diseased branches, rubbing branches, branches nearby lampposts, low hanging and high rise branches. Elimination of dead stems and thinning out can be necessary to ensure proper maintenance. Shrubs can be trimmed by our experts as per required shape and size desired by clientele. Our experts can trim all the way from doors, windows, driveways and sidewalks. This shaping is likely to help in maintaining overall landscape value in more ways than one. Anyone can get in touch with us through email, phone or filling the form on our official site.